Many Brits are going to be playing their accordions for pennies well into their old age if dire prophecies about the state of UK pension savings are any guide. But there’s no need to pray for the invention of ever-lasting youth pills – not when you can employ compound interest to help you live the life of a wrinkly Reilly. Barely got two brass wazoos to rub together? Then you need a pension option that won’t gouge you with high fees, and requires minimal outlay. And this is where a cheap stakeholder pension can be a smashing solution. Why choose a cheap stakeholder pension? Never pay in anything ever again, and die poor. Pay in £20 or more on a weekly or monthly basis. Pay in £20 or more whenever you feel like it. Indeed, it’s almost too flexible from an iron-willed, saving disciplinarian’s viewpoint. Most summaries of stakeholder pensions talk about annual costs of 1.5% for the first 10 years and then 1% thereafter. But you can do much better than that! Discount broker Cavendish Online offers a very cheap stakeholder pension from Aviva for a one-off set-up fee of £35. Your contributions can then trickle into a diversified portfolio carved out of the 40 or so pension funds available, which includes a range of index trackers. True, that’s small beans compared to the choice you get in most SIPPs. Then again, excessive choice is precisely the kind of overkill that sends many running for the hills. Most people are better off with a few decent choices that enable them to spread their risk across key asset classes and be done with it. UK Gilts and UK Property are also available, although not as trackers. 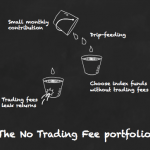 As there is no additional charge, we can allow a bit of active fund management this time. The obvious absentee is an emerging markets fund. There’s an ‘International Index Tracking fund’ available that is 10% in emerging markets. You can find the fund factsheets by clicking through on the fund names here. Choose the Series 2 (S2 funds). Save the factsheets to your desktop as PDFs if they don’t work in the browser. Morningstar > Life & Pension > L&P quick rank > Manager: Aviva Life & Pensions UK Limited. Choose ‘Pension Funds’ instead of ‘All Funds’. Switching and rebalancing between funds is free, or else you can keep things super simple by using an all-in-one mixed asset fund. Another advantage of a stakeholder is that the provider isn’t allowed to charge you an exit fee. So you can always move on to a better pension once you’re able to save more. The Best Invest Select SIPP is the cheapest pension I’ve found for self-directed investors, but the minimum contributions will put it out of reach for some. Remember that if you have access to a contribution-matching pension at work then you should probably take it, and all the free money that comes with it. Otherwise, a cheap stakeholder pension is an excellent option if you’re poorer than a chimney sweep in a smokeless zone. There’s simply no other way you’ll get the same diversification for merely £20. What’s the cheapest pension for DIY investors? My daughter has an Aviva stakeholder via Cavendish and she’s still at school! Do BestInvest really have minimum contributions to a SIPP? My SIPP with them isn’t getting any ongoing contributions. Come summer, my wife will be moving a few old pensions and her Aviva stakeholder to BestInvest as a “mopping up” operation. However, with a pot of only £25k, I’m not sure I can justify their £120pa fee for using Vanguard trackers, so she’ll probably be using HSBC or similar. BTW, the BestInvest SIPP just got even better – they now rebate some trail even if you don’t have £50k on platform with them. As I have a reasonable sum in my SIPP I opted for HL and 100% investment into Vanguard LifeStrategy 60% Equity Accumulation. One fund and one HL platform fee. Doing well performance wise since moving into Vanguard in December 2011. Just as well I had the foresight to transfer monies from a Civil Service AVC scheme into a SIPP a few years back – better performance/choice and lower cost. Glad I have seperate provision with a SIPP given planned changes to Civil Service pension. 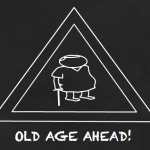 Lets hope Govt etc will stop messing with pensions as the future is looking less bright by the day! Can you transfer a personal SIPP pension into a stakeholder scheme – or does the stakeholder scheme have to be done through an employer? Stakeholders are very, very basic, and both SIPPs and Personal Pensions have become competitive on fees for all but very small pensions and monthly contributions. ISTR that the rule of thumb is £100pcm look at personal pension, and when pot gets larger and/or you want to get hands on and/or you want to hold more esoteric assets, then go for a SIPP. SIPPs used to have huge setup fees, and used to be via a guy in pinstripes with a gold watch only, but times have changed. I think you can start with as little as £16 and this will be grossed up to £20 by HMRC. Also worth noting the new workplace pensions will begin later this year and all employees will have their pension contributions matched by the employer/government tax credit. I just hope that no-one thinks that £20pcm is going to build up to a decent pension because it isn’t! I started a stakeholder for my daughter on a bit more than that, but nothing crazy. I did this to remove “inertia” in that there will be something there for her to contribute to rather than putting it off. Set up my own SIPP at age 22 with the maximum for a no incomer (£2,880). Can’t argue with the £720 you get in tax relief alongside… wonder how many other young people out there are aware that they can pick up this boost with a pension… I stumbled on this fact more than anything. Might as well make the most of that £720 compounded over a lifetime adds up if compounded above inflation. @ Gadgetmind – Bestinvest told me their minimum contributions are: £2,880 lump sum to set up the SIPP (tax relief is added on top). 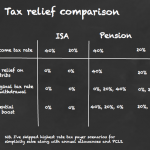 £100 minimum per fund (tax relief is added on top). @ Uhm – a stakeholder doesn’t depend on your employer. It’s available to anyone. You should be able to transfer in. @ Rob – And you can pull the same trick every year! Hope you’re earning some income now. I wonder if the BestInvest £100 minimum per fund applies when doing monthly contributions? I also do the £2.8k for my non-working wife. Well, I say non-working – she is registered as self employed and is paying £130pa in voluntary class 2 NI for which she gets a whole qualifying year towards full state pension. When you say £100 minimum per fund, does that mean you could have something similar to the slow and steady portfolio and distribute the £100 across the range as you see fit, month to month e.g £40 UK all share tracker £10 U.S Tracker £30 Pacific ex Japan £20 UK Corp Bonds £0 the rest one month and then change it around the next month? My partner is looking to transfer her Lloyds TSB Managed Pension (30k) and looking to contribute no more than £50 a month. Does that mean a stakeholder is the only option? The TER she is paying at present is 1%. I guess anything under that would be good. The balance managed pension doesn’t seem to have faired any better that than a ftse tracker. One other thing she has waiver of contribution with present arrangement. Can you get this with a stakeholder or if transfer into a SIPP? Hi John, are you referring to the £100 minimum referred to in the Bestinvest SIPP article? If so then you’d need to invest a minimum £100 per fund every time you invest. But you could, for example, but £100 into a FTSE tracker in month 1 and then £100 into your US tracker in month 2. I dare say there are competitor SIPPs that will let you invest £50 a month but the fee structure will be different. I don’t know if you can get a waiver of contribution with a stakeholder or SIPP, it wouldn’t surprise me if providers offer it as a bolt-on, if you ask for it. With every SIPP I’ve met, you waive contribution by not putting anything in that month. I have a BestInvest SIPP into which I lob the occasional lump sum but no regular monthly contributions. Alternatively would a variable one off lump sum be a way around the minimum monthly contribution level of £100. If, for instance, £600 is put in once with an increase of 3-5% a year then is it just a case of choosing a month to put in and the spread across the funds e.g slow & steady. Is the only advantage of a SIPP over a stakeholder option the number of funds available to choose from? I have two pensions to possibly transfer, my partner’s personal mixed asset pension at 30k and my paltry 4k with-profits pension that’s presently residing in a section 32. I believe they are around 1% TER so my thinking is to save as much on on-going costs as possible for the remaining 20 years till state retirement age. Yep, larger sums every so often would do it – that’s effectively how the Slow & Steady portfolio works, putting in a larger amount quarterly, rather than a smaller amount monthly. Choice does seem to me to be the main advantage of a SIPP when you consider the variation of fees between different product providers doesn’t enable anyone to say anything about the merits of SIPPs vs stakeholders. I think you’re spot on with your drive to save costs. So if I want to go down a Vanguard LifeStrategy route my only option is a SIPP? Best Invest Self Select? You mentioned a break-even point over on http://monevator.com/cheapest-pension-diy/. Do you know would the break-even point be on investing in a Vanguard LifeStrategy fund v an equivalent range of funds in a stakeholder ? I’m still unsure who the best Sipp is, Best Invest or TD Direct or H-L? If I am looking to move out of Lloyds TSB Managed (Scottish Widows) personal pension and take up either a Vanguard LifeStrategy or the slow and steady portfolio within a SIPP I guess that means selling and buying and not transferring. Hi John, I can’t tell you which is the best SIPP for you. It depends on your criteria and is a personal decision. In all these things, there’s rarely a clear winner and your choice will generally involve some kind of trade-off. I don’t know what your options are when moving pensions, I’ve never done it or looked into it. Perhaps another Monevator reader can help, or I dare say there’s a SIPP board on the Motley Fool forums. Will get to the bottom of it. Having looked at Cavendish today, it says “The same rates are now available if you went directly to Aviva.” So I called Aviva to confirm this, as their website still says 0.9% against 0.55% for Cavendish. But they were unable to confirm! They said it’s possible the Aviva website could be wrong (as there are updates ongoing), and I would need to book an appointment with an IFA to discuss anything further!! Useless! So now I dont know whether it’s worth applying direct and hoping its 0.55% or paying the £35 via Cavendish to be 100% sure. but I ran into the snag that £74 (20% of the £370 I had a starting sum) wasn’t enough to buy 1 unit of the index fund I wanted. I take it from this its not possible to buy less than 1 unit of a fund? So how is it possible to have the exact % allocation you want? Is the only way to deal with this to keep make contributions and keep them in the sipp cash fun until i have enough to buy 1 unit? You should be able to buy fractions of fund units. Though you can’t do this with ETFs. Though with AJ Bell charging a dealing fee it’s a good idea to be able to invest a sizeable dollop of cash in one go to cut down on the fees you incur. I saw the same thing on the Cavendish website about charges being matched by Aviva. The Aviva website says 1% in some places and 0.55% in others. I called Aviva and they confirmed the maximum charge is 0.55% – without a set up fee or any additional fees for transferring in existing pensions (£35-60 with Cavendish). So can’t see any reason not to go direct – apart from the fact it seems to take Aviva a year to get their website updated. @ Shaun – it’s an all in fee. the only additional charge is £20 to register with Cavendish. 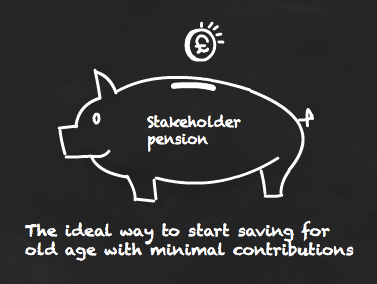 However, you can now buy this pension direct from Aviva and save yourself the £20. Update: if you’ve got over £20,000 then the Aviva Personal pension is a little cheaper than the Stakeholder and carries a suitable range of index trackers. Below £20K and the Stakeholder is still cheapest. My wife has just over £20K in a Friends Life personal pension with an AMC of 0.75% so was looking at transferring into a new Aviva personal pension with AMC of 0.45%. Telephoned Aviva to go direct and save on Cavendish fee but they said I would have to go via an IFA. Do you know if the option to go direct has been stopped? If you found a way round this IFA requirement, please let us know. I suspect that Aviva would be cheaper via Cavendish despite the latter charging a fee. Basically Cavendish have negotiated a better deal on fees than you can get yourself, unless something has changed. Note you can perhaps “repension” with Cavendish and get a better fee with FL – our group pension is now at 0.4% AMC. I realise this is an old article, but after a significant timer investigating the various options, I have put my wife in to the NEST scheme to kick-start her in to the savings habit. 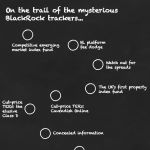 The NEST high risk fund is 0.3% TER and has 68.5% developed equity, 23.5% UK/GLOBAL property and 8% emerging markets. The property allocation is actively managed (L&G) with the other 2 being passive. The more I think about it, what more do you need??? The ongoing charges are very low, no annual fees, no fees to switch between funds within NEST, and no fees for transferals. The online account area is also simple and easy to use, with some excellent illustrations on the advantages of keeping costs low and der-risking as one approaches retirement. I am seriously considering closing my III account and transferring my Vanguard Lifestrategy Fund in to NEST, or at least doing so in part. I think this is another fantastic step towards democratising saving and investing. As an addendum to my last post, I very much believe that the NEST scheme is worth a write up by one of the highly esteemed Monevator writers. Great idea, Compounder, I’ve put it on my list. Cheers! for starters I wonder if we’re talking about the same NEST, i.e. the govt sponsored workplace pension scheme? what does one think about the 1.8% contribution charge levied on the defacto govt NEST workplace pension? seems a little steep to me on top of the 0.03%AMC..
from what i can make out, whatever costs are incurred by the underlying funds comprising the pension are also charged in addition, i.e. on top of the 0.03%AMC and the 1.8% contribution charge. Although what these charges may amount to is not totally expicit..
anyone going for this, either through choice or necessity? I note also that you cannot transfer in or out and annual contribution is currently capped at £4600. It also looks like there are additional restrictions on how you can access it at the other end, to be fair, they look like reasonably sensible restrictions, but restrictions none the less..
on the one hand govt saying you are master of your own fiscal destiny, and on the other saying, but we know whats best for you and are going to default you into it. Previous post: Weekend reading: Did you buy into the three-year bull run?